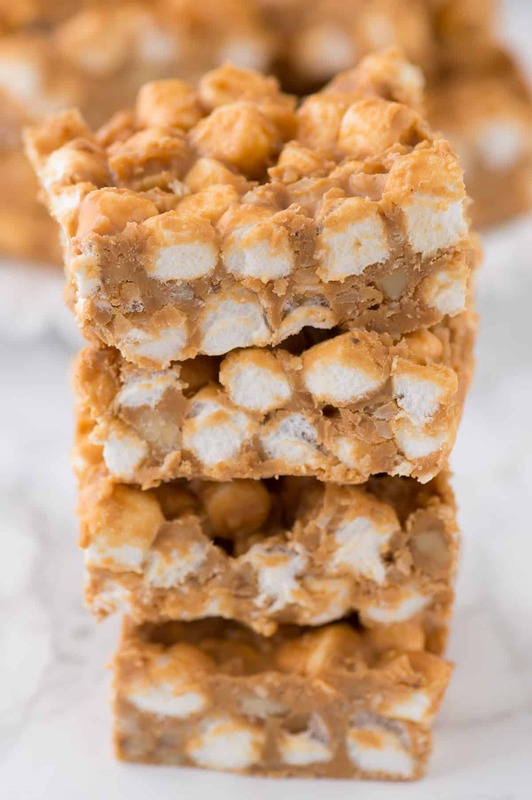 A simple no bake recipe for butterscotch marshmallow bars with coconut and walnuts! 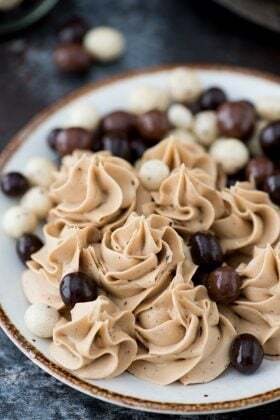 This is a classic holiday no bake treat! I’m not the biggest fan of butterscotch. I’m actually the type of person who would prefer to make special k bars without the butterscotch chips. 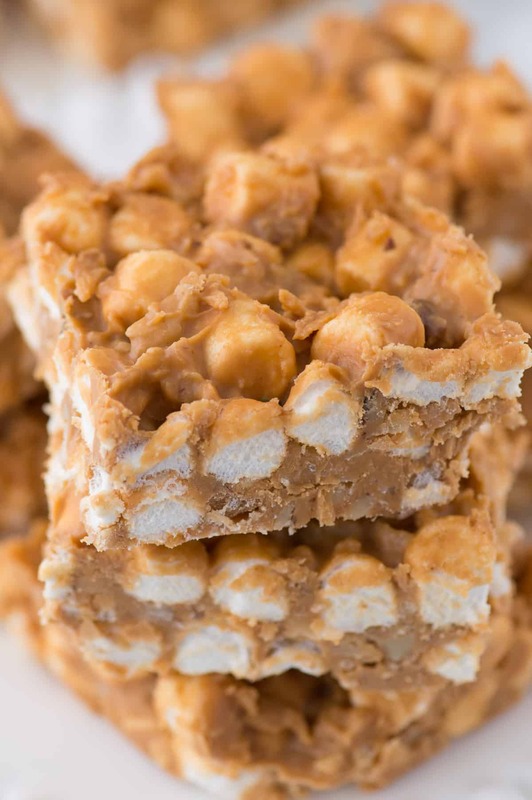 But, oh man, has my mind changed about butterscotch when it comes to these bars!! 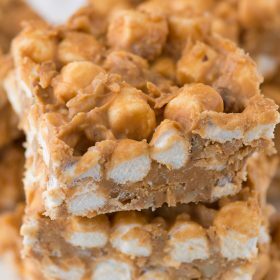 I’m convinced that it has to do something with the combo of peanut butter, marshmallows and butterscotch all together that make the butterscotch less butterscotch-y.. which in my opinion is usually too sweet. 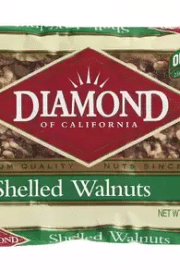 Instead all I taste is creamy, marshmallowy goodness with a subtle crunch from the walnuts. 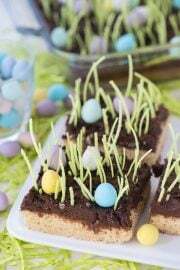 This recipe can go by a lot of different names – peanut butter marshmallow bars or squares, no bake nut goodie bars, and confetti squares (although I think those are generally made with the fruity marshmallows). Whatever you choose to call them, they are a popular dessert to make for the holidays and to include in cookie tins! 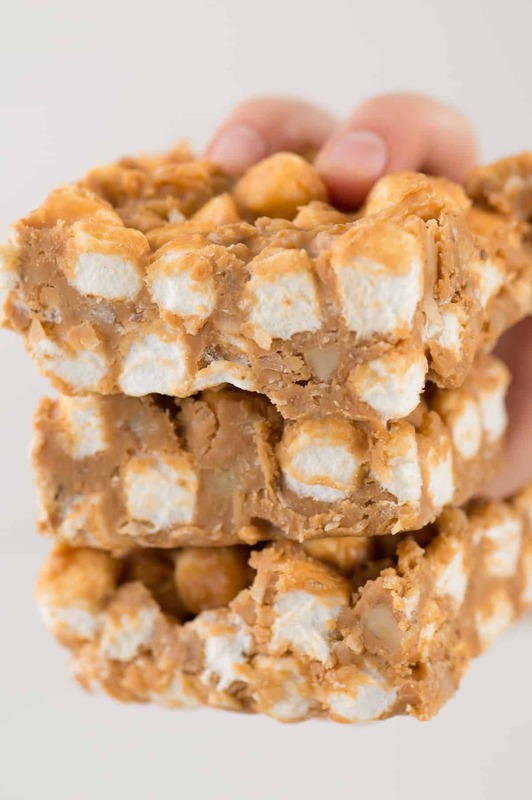 There are tons of different ways to make them, but our recipe calls for butterscotch chips, peanut butter, butter, mini marshmallows, walnuts and shredded coconut! 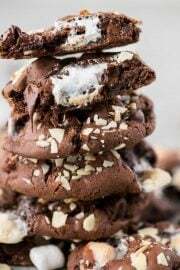 It’s a quick recipe that comes together within 5 minutes and probably takes about an hour to set before you can cut them into bars. But you can speed up the cooling time by sticking the bars in the fridge! Or if you’re a midwesterner, you can put them in your garage or on your porch, which acts as a second fridge alllll winter season. 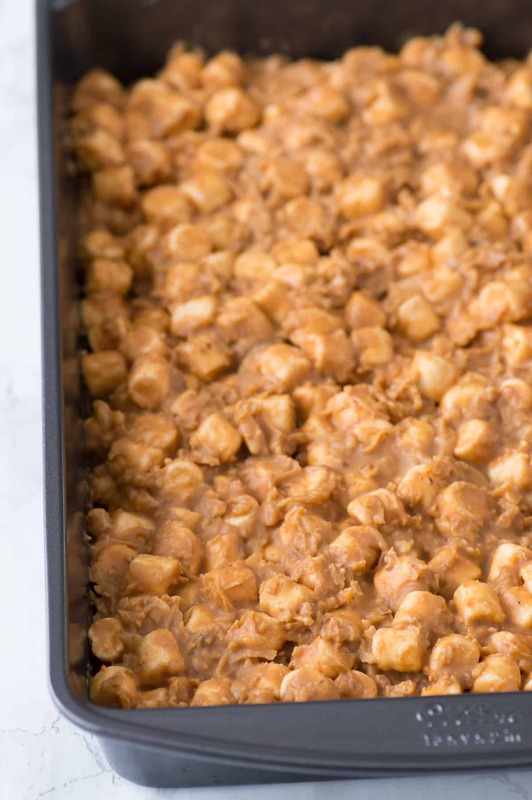 In a large pot over medium-low heat, combine the butter, peanut butter, and butterscotch chips. 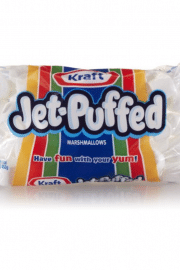 Stir frequently until the mixture is completely melted. 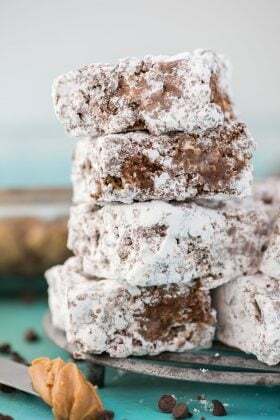 Remove from the heat and stir in coconut, walnuts, and marshmallows. 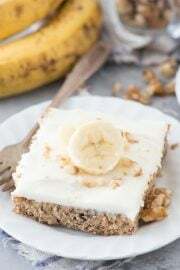 Pour the mixture into an ungreased 9x13 inch pan and spread to even it out. 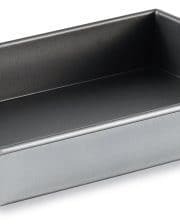 Put the pan in the refrigerate to set, then cut into bars.